In order to receive workers’ compensation benefits (including medical care) in Alabama, the injured worker must promptly notify his or her employer of the accident and injury. The State of Alabama provides a form to employers called a First Report of Injury. If you suffer an injury at work you must tell your employer. And, your employer should complete this form. Some employers neglect to complete any accident reports. It happens frequently. You suffer an injury. You tell your boss immediately trusting he or she will take care of you. Yet, the boss neglects to complete any written report. If your accident is minor and you are not hurt, it’s no big deal. But, if you are truly hurt, the lack of a written report can be a huge problem. What if you are seriously injured and a few weeks later ask to see the company doctor but your boss does “not remember” your accident? Suddenly, the boss cannot remember you had an accident or told him about it. A written report makes proving your case and the required notice, much easier. If you suffer a work-related accident, insist that a First Report of Injury be completed. 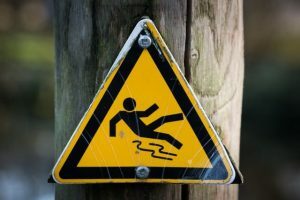 Why do some employers fail to prepare any accident report? These employers are hoping they won’t have to report the claim to their insurance company at all. You might pay the price for their failure later. In Alabama workers’ compensation cases, your employer gets to pick the initial treating doctor. Many employers use a local occupational physician as their initial doctor. For example, in the Huntsville / Decatur area these occupational physicians often work at Occupational Health Group (OHG). OHG runs several different area clinics. These occupational doctors earn their living primarily as company doctors (not as independent doctors). They provide only the most basic evaluations or treatment. They often minimize your initial injury complaints. Why do these doctors minimize your injury-related problems? They act to save the insurance carrier costs. Your health can suffer as a result. Some injured workers simply give up on the process when the insurance company and initial company doctor ignore or minimize their problems. Other injured workers experience problems proving their full claim in court later because the documentation at the time of injury indicates the work-related accident only caused a sprain. I regularly review occupational physician records. I long ago lost count of how often the occupational physicians mis-diagnose herniated discs as simple back strains. If you are hurting badly and seeing one of these doctors, request specialized care or tests for your condition. Don’t give up. Make sure you get to a specialist who can treat your injury. A local plant in Athens routinely reports workplace accidents as causing no lost time from work. How does this work? This employer will try to avoid sending the worker to a physician. Instead, the company will let the worker simply sit around at work following the accident. The company does not want to document medical care or missed work. The problem occurs when the worker continues to hurt weeks or months later without treatment. At that point, the company’s headquarters has no record, no notice and no knowledge of any accident because the local facility failed to report it. You can imagine the problems the hurting worker now faces to prove his or her claim. I’m not surprised by a study showing spinal fusion injuries were initially under-reported as simple back strains. The study is incomplete. The researchers should look at additional information. Here are a few more questions to study. What symptoms did the injured worker suffer in the days following his or her accident? How long did the insurance company delay before providing a real back specialist to evaluate or treat the injury? How many times did the injured worker return to the initial occupational physician with serious symptoms before that physician prescribed important imaging studies like a MRI or CT scan? The answers to these questions would reveal much more information about a system that often delays important health care. At the Blackwell Law Firm, we help injured workers. When our clients are denied medical care or disability benefits, we routinely go to trial. If you have questions about a workplace injury, call us. Consultations are always free and confidential.